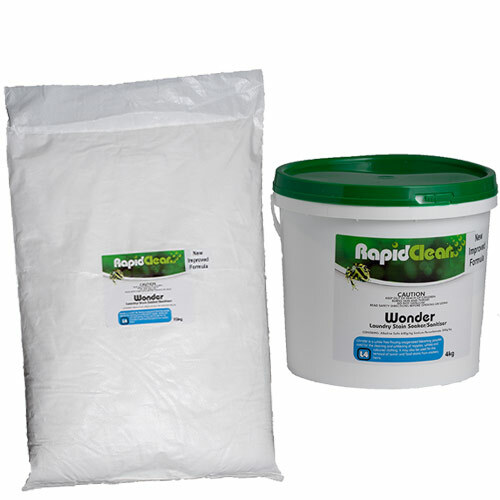 Wonder soaker is a multi-purpose stain remover suitable for general purpose laundering of garments, all types of linen (excluding wool) and recommended for hand-washing, and in top and front loader washing machines. Can be used as a pre-soak for heavily soiled laundry prior to washing and is suitable for use on whites, coloured fabrics and mixed loads. Trojan is a heavy duty alkaline liquid floor cleaner formulated to cut through built-up grease and kitchen soil. It will strip-away grease on hoods, vents, ovens and kitchen floors. Available in 5 Litre or 15 Litre.